Mas Arai is the best man in his friend’s wedding. It is a good thing that people have wedding rehearsals as Mas has dropped the wedding ring into the koi fish pond. Well things can only get better from here…right? No things can get worse…a lot worse. Mas’s friend’s fiancée’s priceless Japanese doll collection has been stolen. Who would want to steal a doll collection and why? These are the questions Mas must find answers to in Blood Hina. 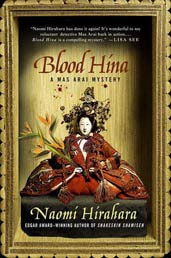 Author Naomi Hirahara has written several novels but Blood Hina is the first book I have read by this author. After finishing this book, I plan to check out the other novels that this author has written. I liked that Ms. Hirahara used her ethic background and infused it into this book. It showed that Ms. Hirahra is proud of whom she is and wants to share what that culture what readers. Being of Asian background myself, I always find it intriguing when authors incorporate their lifestyle or diversity into their books. Mas Arai is a very likable character. 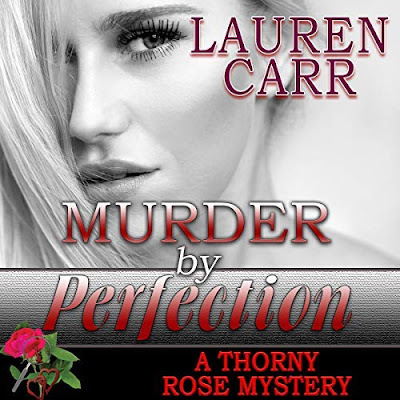 The story line was fast paced and had me trying to figure out the ending before Mas, which I didn’t. This is always a plus for a mystery fan like me to now have the ending solved until right up to the big reveal.